The next-generation ZenBook is completely redesigned with a gorgeous, ultra-sleek 11.9mm chassis that weighs a mere 910g. To achieve its amazing lightness without compromising strength, ZenBook 3 is crafted from aerospace-grade aluminum alloy, a premium material that is 50% stronger than the standard alloy used in laptops. As well as being strong and light, this material is also supremely elegant and features the signature ZenBook spun-metal finish. ZenBook 3 delivers unprecedented performance with up to an Intel® Core™ i7 processor, 16GB of 2133MHz RAM, up to a 1TB PCIe® Gen 3 x4 SSD, a next-gen USB Type-C port, and powerful quad-speaker audio by Harman Kardon. Its high-resolution 12.5-inch display has a wide 72% NTSC color gamut and has an edge-to-edge covering of tough, scratch-resistant Corning Gorilla Glass 4. Hyve Pryme, its first flagship Deca-core smartphone in collaboration with MediaTek. 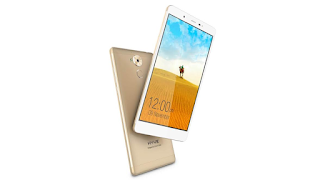 Hyve is the first Indian brand to introduce a smart phone powered by MediaTek’s flagship Helio X20 processor for consumers in India Hyve’s newly launched Pryme smart phone is powered by the 2.3 GHz MediaTek Helio X20 SoC, the world’s first mobile processor with Tri-Cluster CPU architecture and ten processing cores (Deca-core) that delivers improved battery performance by up to 30%. Pryme also comes enabled with some additional features, available on MediaTek Helio X20, like ClearMotion™ for smoother video playback, BluLight Defender for reduced eye strain, Miravision™ for an enhanced display experience, and Dynamic contrast for on-the-fly video enhancements. 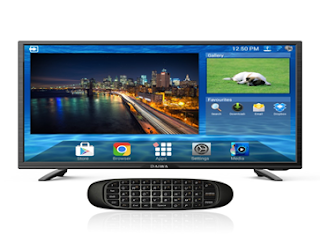 The range touted to be a technology marvel, is built on Android platform. It is appealing to the eyes with its thin bezel and brush finish, svelte and slender frame, screen mirroring (M cast). It also brings an almost real aural experience with its 10 Watt speakers. Additionally it comes loaded with 1 GB DDR3 RAM, MHL, 178° wide viewing angle and unique features like ability to kill apps running in the background and quick screen grab features. It also has a mini remote called the 2.4 GHz web cruiser. Enabling easy and maximum data transfer, TVs in this range come with 3 HDMI and 3 USB and it also comes with 4 GB inbuilt memory. 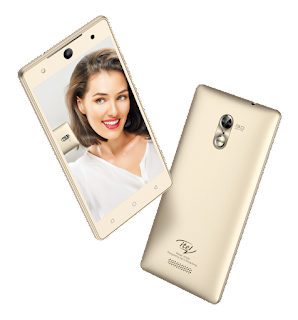 Designed to fulfil itel’s brand promise of providing users with superior camera performance and quality, it1520 comes equipped with wide angle 13 MP front and back cameras. The latest model runs on Android 6.0 Marshmallow. With features such asIRIS scanner, 4G-VoLTE connectivity and a Reliance Jio connection, the latest launch from itel is the perfect smartphone companion for the selfie-loving, mobile-first Indian consumer! 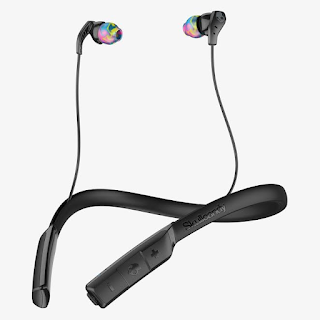 Skullcandy Method Wireless Earbuds - Flexible and lightweight FlexSport™ collar. The Method Wireless comes packed with features, including a flexible and lightweight FlexSport™ collar. Because the collar enables reduced part count in the earbuds, the buds themselves are lightweight, stable and comfortable in ear. DualLock™ technology provides added stability and supports a comfortable noise-isolating fit for longer workouts. Pureclean® technology is blended into the eargel to keep them clean. Method Wireless, which also comes in a women’s model, includes up to 8 hours of battery life, and sweat-resistance as well as built-in microphone and call, track and volume controls within easy reach. Method Wireless, the latest addition to Skullcandy. Sport Performance, is available now online and at select retailers nationwide for INR 5,299.